M-1 Global and STRIKEFORCE announced today a co-promoted event that will be headlined by the world’s No. 1 heavyweight mixed martial artist, Fedor “The Last Emperor” Emelianenko (31-1). The event will take place on Saturday, June 26 at the HP Pavilion in San Jose, California, and will be broadcast live on SHOWTIME at 10p.m. ET/PT ( delayed on the West Coast) . Emelianenko will face off against two-time Brazillian Jiu-Jitsu world champion and highly touted superstar Fabricio Werdum ( 13-4). Emelianenko last competed on November 7, of 2009 in a fight that saw the Russian stop Brett Rogers by second round knockout. Simply referred to as “Fedor” by millions of fans around the world, the 6-foot, 235-pound fighter who hails from Stary Oskol, Russia, has become the most dominant MMA fighter of all-time since he began his professional career 10 years ago. The 33-year-old has faced and defeated nearly every other rival superstar and champion of this era, including Antonio Rodrigo Nogueira, Mirko “Cro Cop” Filipovic, Andrei Arlovski and Mark “The Hammer” Coleman. 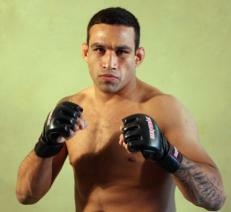 Werdum, enters the fight on the heels of a victory over Antonio “Bigfoot” Silva also on November, 2009. Werdum, a veteran heavyweight, holds victories over Gabriel Gonzaga, Brandon Vera, Aleksander Emelianenko, and current STRIKEFORCE heavyweight champion Alistair Overeem to name a few. The June 26 matchup serves as a means of gaining revenge three and a half years after the 32-year-old Werdum defeated Fedor’s brother and fellow M-1 GLOBAL competitor Aleksander Emelianenko, via submission (arm triangle choke) in the first round (3:24) of a bout in Rotterdam, Holland, on Nov. 12, 2006.
to as “Fedor” by millions of fans around the world, the 6-foot, 235-pound fighter who hails from Stary Oskol, Russia, has become the most dominant MMA fighter of all-time since he began his professional career 10 years ago. The 33-year-old has faced and defeated nearly every other rival superstar and champion of this era, including Antonio Rodrigo Nogueira, Mirko “Cro Cop” Filipovic, Andrei Arlovski and Mark “The Hammer” Coleman.